The CRES TrebleMakers is a small choral performing group for which students must audition. 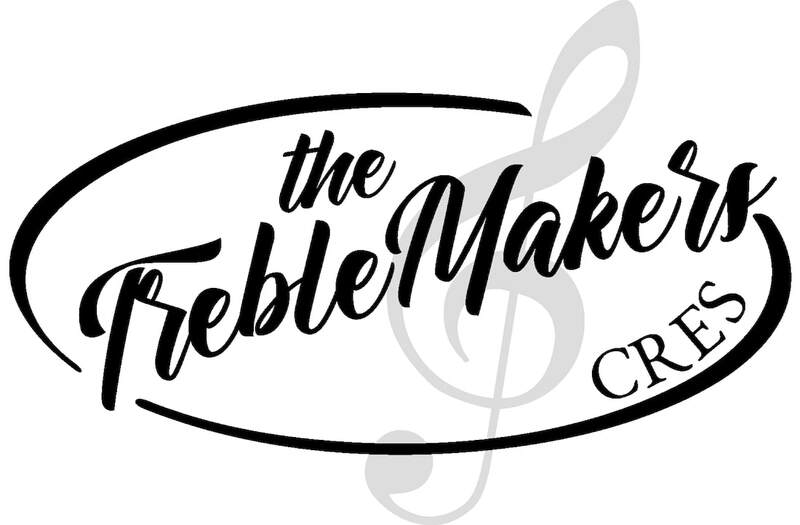 Students who are interested in joining TrebleMakers must also be a member of CRES Chorus and participate in a before school audition in June of their 3rd or 4th grade year. This is an additional commitment on behalf of the students. In addition to the two morning CRES Chorus rehearsals each week, TrebleMakers will have additional rehearsals on Friday afternoons. The goal of this choral group is to provide advanced level singers an opportunity to learn more advanced choral literature and to have additional opportunities to perform outside of school. CRES TrebleMakers have previously performed at the Islip Town Tree Lighting ceremony, the Islip Elks Club Flag Day Ceremony and Opening Day for the Miracle League of Long Island / League of Yes. Sign-up for text alerts through the Remind system by texting @cres-tm to 81010. One of the most important items on the TrebleMakers calendar each year is our visit to the League of Yes. We go each spring to sing the National Anthem prior to the day's baseball games. The League of Yes’ mission is to establish and sustain baseball programs for people (of all ages) with disabilities. Their objective is to provide an opportunity for those individuals to experience the joy and benefits that come from playing our national pastime. Their aim is to help the league’s players develop social skills and increase self esteem, while promoting community support and sponsorship for the league. They believe everyone deserves the chance to play baseball! Players in this league are mostly young children that suffer from many different kinds of disabilities but through the amazing dedication of the league's staff, these young boys and girls have the opportunity to participate in baseball. The league thrives on people (of all ages and abilities) to come and volunteer for the day and become BUDDIES. Many members of TrebleMakers stayed for the day to be a buddy for one of these players. I say it all the time but it bears repeating.... I am so humbled to be able to work with such talented singers but what impresses me more than anything they do with music is the quality of their character. To see them interact with children that they do not even know and that have disabilities and to be their buddy for a day tells me so much about their character. Kudos to all! 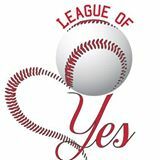 ​Please visit the League's website at www.leagueofyes.com or Like their Facebook page at www.facebook.com/leagueofyes.